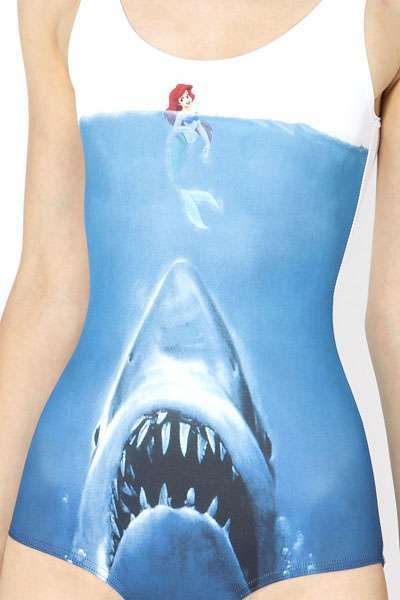 Jaws and The Little Mermaid come together at last for the perfect summer suit. Created by Black Milk Clothing, this epic film-inspired suit is sure to grab onlooker's attention. Shark vs. Mermaid is a stylish and funky one-piece. Combining the most infamous sea terror with the enchanting mermaid princess is sure to make beach-goers laugh. 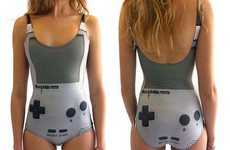 The suit is available is sizes extra small to large, so every girl can grab one of these sea-worthy suits. These iconic images from director Steven Spielberg and Disney are timeless. Don't blend in with the rest of the beach bums, stand apart and rock one of these hilariously amazing suits. 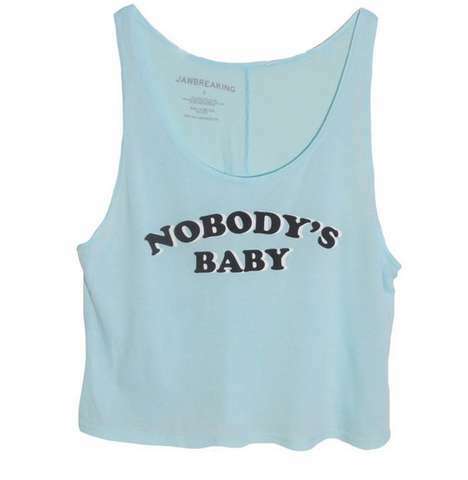 This bathing suit is great for any fashionable film buff.